If you would like to make a general enquiry or have a specific request regarding admissions or uniform, please fill out the form opposite and the appropriate member of staff will be in touch shortly. Note that our normal office hours are: 8.30am to 5.00pm Monday to Friday (term time). 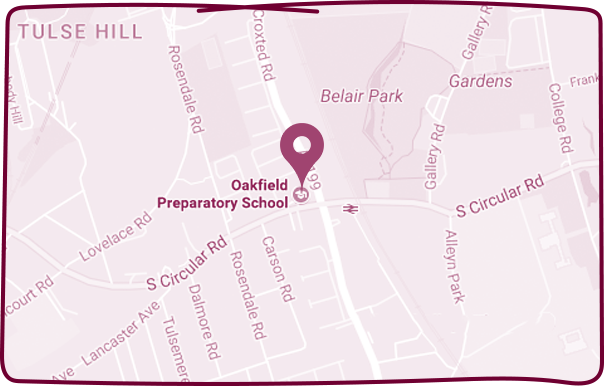 Oakfield in West Dulwich, just a five minutes walk from West Dulwich station on the South Circular road, and adjacent to Croxted Road.